Order now and get all-new Barbie De Vere, the 17th Earl of Oxford, in time to surprise your relatives this Christmas with our Barbie tribute to the greatest author who ever lived. 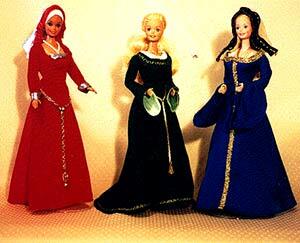 Accessorise your Barbie Earl with some elegant and yet submissive Tudor companions. Guess what? Barbie Earl's friends are all called Ann! Ann Boleyn has a removeable head, Ann Cecil has a realistic crying effect and Ann Vavasour can do the CanCan. You'll never see a more lifelike Ken than Oxford-Barbie. All your friends will be so impressed! Especially when you sit him down at his desk and reveal his secret! With Barbie Earl's quill in his hand, how could anyone ever doubt he wrote the plays? Oxford-Barbie is ready for everything! There's no limit to what you can claim he can do. But be Careful!! Don't let him near any servant Barbies when you're not watching! Especially if Barbie Earl is carrying his rapier! Barbie Earl loves everything Italian. You can buy lots of fabulous extras for him. There's a pasta machine, a 16c Juventus football strip and there's even a full scale gondola complete with Singing Gondolier Ken. Once again, be careful with the other Barbies (and Kens!). Oxford Barbie loves a walk on the wild side. 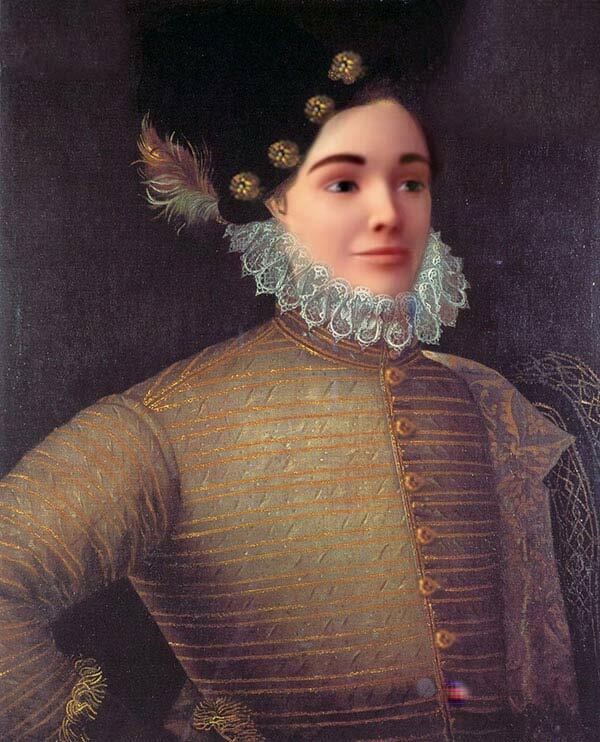 Barbie Earl looks just like the real 17th Earl of Oxford. We used a real 16c artist's template to get his features just right. Every stitch and button is a masterpiece of the miniaturist's art. No one will ever mistake your Barbie Earl for a lower-class oik from Stratford-upon-Avon. In a Barbie World . . .
Can't you hear the doubters cheer? Four great Oxford Barbie Packs to choose from. Grab your favourite, while stocks last! Or grab yourself a whopping 17% off by ordering all four! Enter code VIDEBORI on your order form to claim your discount. Gabriel Harvey and Miley Cyrus sing all of Oxford's songs and the Barbie anthem. 17 minutes of bliss.